Anna Łubowicz is Adjunct Assistant Professor of Linguistics and Graduate Faculty at the University of Minnesota, Twin Cities. The role of contrast is a growing area of interest in linguistics and this book is an important contribution to the debate on where contrast fits in the grammar. It argues that contrast is one of the central organizing principles of the grammar and provides a formal theory of contrast couched in the framework of optimality theory. The book’s key finding is that contrast exists as an independent principle in the grammar, which in the framework of optimality theory can be formulated as a family of rankable and violable constraints. A formal proposal of contrast is developed called Contrast Preservation Theory. 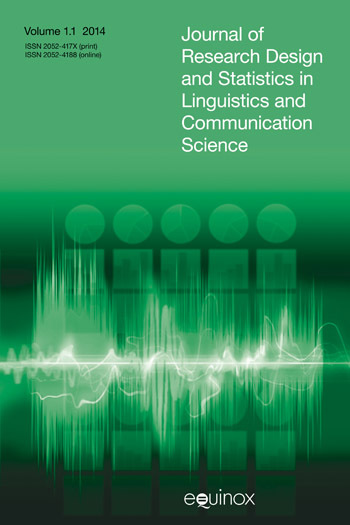 This proposal is illustrated and supported with diverse contrast phenomena in the areas of phonology and at the phonologymorphology interface. Evidence is drawn from a number of languages including Finnish, Arabic, and Polish. Predictions of the proposal are discussed and compared with alternatives. 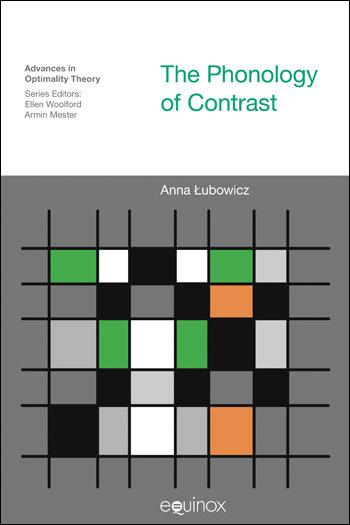 This book contributes to the research on contrast by providing a framework of contrast and investigating its empirical coverage. The proposal developed in this book finds its inspiration in the work on opacity and recoverability in the 1970s. 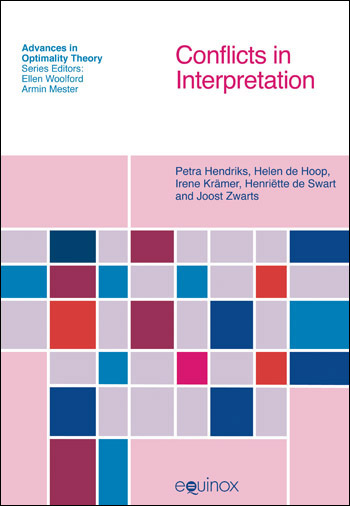 The main idea expressed in those works is that input representations should be recoverable from the surface forms in the language, and opaque phonological processes increase recoverability (see Donegan and Stampe 1979, Gussmann 1976, Hualde 1990, Kaye 1974, 1975, and Kisseberth 1976). The theory of contrast developed in this book, called PC theory, follows this insightful observation about opaque phonological processes and incorporates it into a framework of rankable and violable constraints. This chapter develops a formal theory of contrast, called PC theory (for “preserve contrast”). The proposal is introduced by looking at simple cases of neutralization and preservation, and further applied to chain shift mappings. The key observation is that chain shifts involve contrast transformation where a given underlying contrast is traded for another surface contrast. To account for contrast transformation, PC theory proposes that contrast exists as a primitive in a phonological system formulated as a family of rankable and violable constraints. The predictions of PC theory are discussed and compared with alternatives. One of the core implications is that, unlike previous approaches, PC theory admits push shift mappings. This chapter provides an account of stress-epenthesis interaction in Arabic dialects using the principle of contrast. Arabic dialects provide an interesting case study for the role of contrast since they differ in the way epenthesis and stress interact. To explain the differences and similarities between Arabic dialects, it is proposed that stress-epenthesis interaction is militated by a constraint on contrast. When forms with epenthetic and non-epenthetic vowels have different stress, it is argued that contrast is preserved between them despite epenthesis and is manifested as a surface stress contrast. This account is compared to several previous approaches to stressepenthesis interaction and is found to be superior in many respects. One of the core implications of the proposal is that it predicts that the so-called onset dialects are always contrast-neutralizing, which is consistent with the facts. This chapter also discusses locality of contrast preservation. This chapter extends the proposal to morphological contrast by investigating the role of contrast in the surface distribution of allomorphs. The case study is allomorph distribution in the locative of masculine and neuter nouns in Polish. It is shown that locative allomorph distribution is opaque and can be accounted for in terms of preserving contrast. The key idea is that the different allomorphs of the locative suffix keep apart forms that the regular phonology would otherwise neutralize. This contributes to our understanding of opaque allomorphy and the role of contrast. This chapter summarizes the results of this work and deals with any remaining questions. This book has argued that contrast is one of the central organizing principles of the grammar and developed an Optimality-Theoretic framework for contrast called PC (“preserve contrast”) theory.